In a list of hospital measuring instruments Sphygmomanometer also one of the doctor's or medical personal's equipment helps to monitor patient’s blood pressure. This device has an inflatable rubber cuff for wrapped the arm and a measuring device show the cuff's pressure. This medical device also known as, BP monitor machine, blood pressure meter, BP gauge etc. 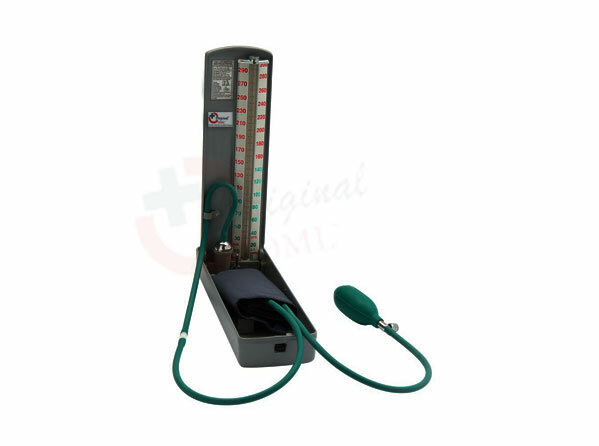 Here At Original Medical Equipment Company we are offering you own manufactured Digital or Mercury Sphygmomanometer with best quality standard. Also contact us for Other Hospital Diagnostic Equipments and Products.